A Philippine Consulate General (PCG) official said there was a need to crack down on loan sharks preying on foreign domestic workers with interest rates up to 120 percent, or double the legal limit. Consul Paul Saret, head of the PCG-Assistance to Nationals Section, made the comment after the police last month recovered from a suspected loan shark in North Point more than 420 Philippine passports that were used as collateral. Saret said the PCG was coordinating with the Indonesian Consulate General so that they could jointly bring up the matter with the Hong Kong government. He noted that the police also recovered more than 850 passports, many of them Indonesian, from another suspected loan shark in July. “First, it was more than 800 passports with the Indonesians, and now, here are 400 involving our workers. This is a serious matter,” Saret said in an interview. “We are asking that they should crack the whip on these loan sharks,” he added. The Hong Kong Police arrested a 65-year-old man and his 41-year-old Filipino domestic worker on August 13 in North Point. 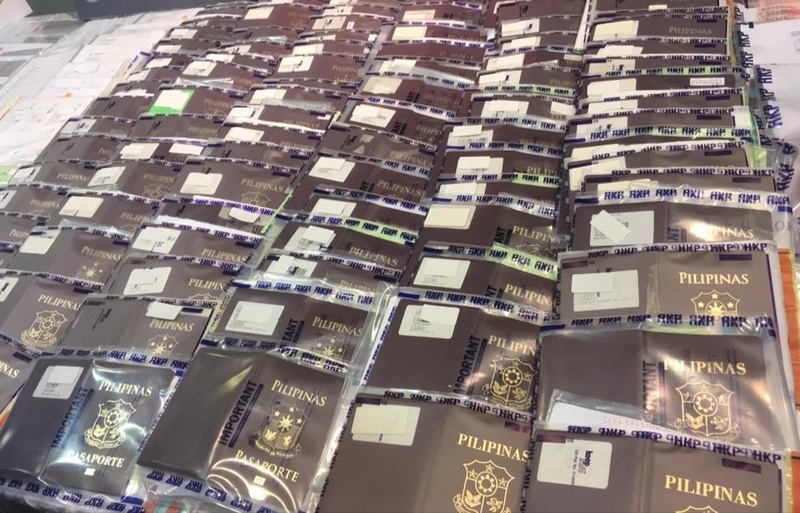 Saret said the police recovered 422 Philippine passports, including those that were “old and that had already expired.” They also confiscated $100,000 in cash. Under Hong Kong’s Money Lenders Ordinance, those who lend money can charge only up 60 percent annual interest. Convicted offenders face a fine of up to $5 million and imprisonment of up to 10 years. The arrested suspect in North Point allegedly lent money to Filipino domestic workers at annual interest rate of 120 percent. “It appears the suspect did not mind getting old and expired passports. So when we sorted them out, we determined that the passports belonged to 404 domestic workers,” Saret said. Saret said four passport owners had also loaned their previous passports to a loan shark syndicate that was busted by the police in March 2017. “We’ve reported this to Manila and it is up to Manila to decide whether they deserve to be issued replacement passports,” Saret said. “It’s not that we want to punish our compatriots– that is farthest from our mind—but there is a need to impart lessons because some are repeat offenders,” he added. A police spokesperson said the suspect in North Point and his domestic worker were released on police bail but were required to report again to investigators later this month. Saret said some loan sharks also require foreign domestic workers to surrender their contracts as collateral. He said Consul General Antonio Morales will meet with his Indonesian counterpart to determine what steps to take to deal with the issue. “We’ve met before with our Indonesian counterparts and the topic was really illegal lending. That’s what is urgent,” he said. “What can we do to stop this recurring practice of people engaging in lending business without a license and imposing exorbitant interest rates—double than the legal interest—and then requiring the deposit of passports and or employment contracts as collateral or as security for the loans,” he added. Deputy Consul General Roderico C. Atienza said the PCG highly appreciated the Hong Kong Police’s arrest of the suspected loan sharks. “We are also thankful to them. Without these arrests, we would not have known about these incidents. We appreciate the police for doing more action,” he said. Atienza and Saret said loan sharks should be successfully prosecuted in the courts to deter others from victimizing foreign domestic workers. Saret said the PCG had yet to receive information if the loans sharks busted in March 2017 had been convicted.